One of the funnest activities in the Summer is going to the ol' ball game! Here in San Diego, Petco Park (home of the Padres) is a fairly new stadium with sections devoted to great San Diego foods, breweries and all of the baseball game classics (hot dogs, cracker jacks, etc.) 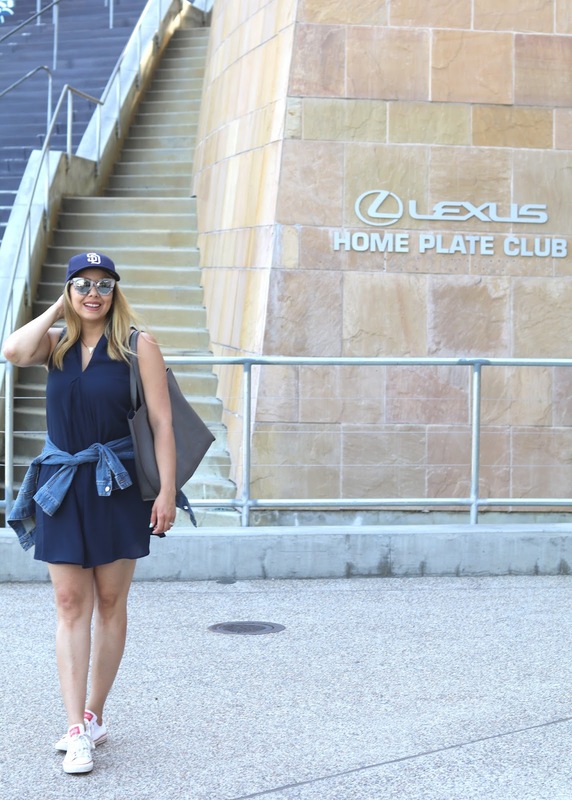 There is a very exclusive section, that 1) I didn't know of 2) Is pretty amazing 3) I got to experience thanks to Lexus- The Lexus Home Plate Club! The Lexus Home Plate Club is not only those seats in back of the home plate that you see on tv, but also an exclusive area with catered food and a hosted bar! My husband and I were invited for the day and we were just in awe of this hidden gem- the food, top of the line drinks and service were on point! 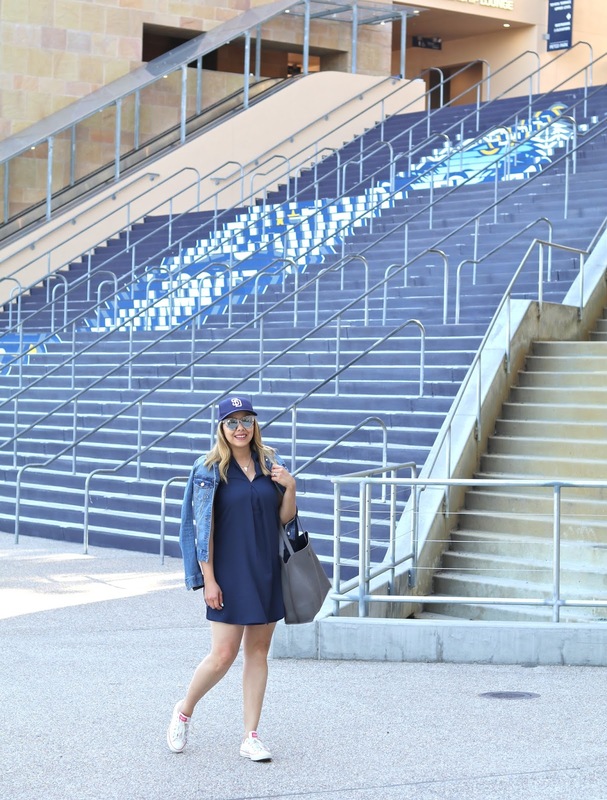 As far as my attire goes, I was inspired by my home team's colors and had to toss on my converse of course! 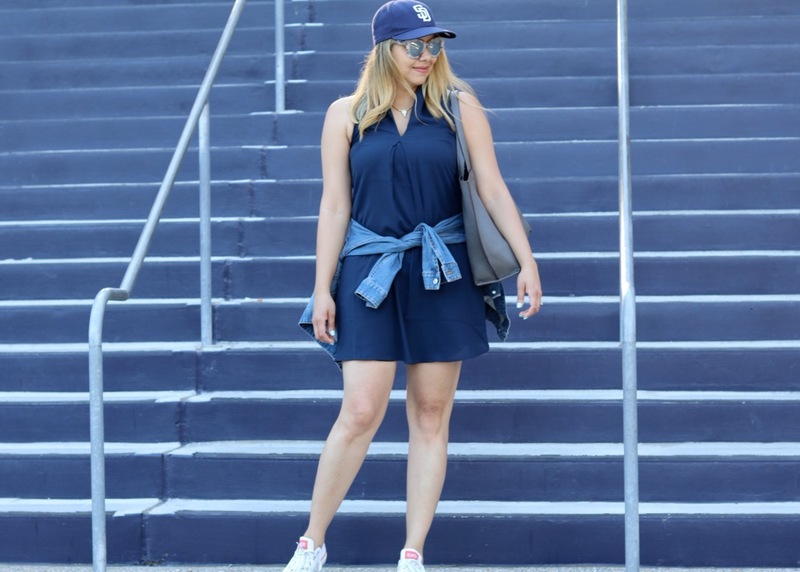 Dressing up for a sports game doesn't necessarily mean wearing a jersey or losing the girly so this outfit was my happy medium. Shop my look below! Thanks to Lexus, I also got to roll in in a beautiful Lexus IS 200t! I got to test that baby out in the road and let's just say it was a sad day when I had to give it back. You can check out a model at the by the Lexus HPC entrance. There is also a Lexus Performance Swing Analyzer which shows how your swing matches up to the pros! Thank you to Lexus for providing tickets and transportation! Please note that it did not influence any opinions expressed in this post. I looove how you made the whole outfit casual with the chucks and baseball hat. I'm so inspired, I think I will have to copy this outfit!